Now that the national championships have stopped for the International Break, we thought that it would be a good moment to bring you the Spanish League Dream Team. At least for these first 7 game-weeks of La Liga. To make a dream team is something that always spurs some debate about who should and shouldn’t be and what the criteria is to pick player of said dream team. But our choices are not subjective. They couldn’t be. They are based on real stats and in our scoring system. It’s the numbers that tell us that these are the best players so far for La Liga de Los Ases. 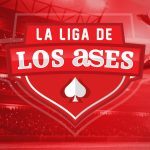 Here are the best players of La Liga de Los Ases – so far – and a short summary of their performance in the competition. The owner of the colchonero’s nets is the best goalkeeper in La Liga de los Ases and is currently one of the best in the world. Oblak hasn’t conceded any goals in 5 out of 7 games. With only 2 goals conceded overall, he is the least beaten in the championship so far. When he is called to intervene the Slovenian guardian has counted a total of 15 defenses. But there were two games in which he has made 10 of those 15 defenses: against Valencia and Barcelona. He was the author of Leganés first goal ever in La Liga, but it’s not just for that that he is part of our Dream Team – being Leganés first goal doesn’t add bonus points in La Liga de los Ases. A goal is a goal. The thing with Víctor Díaz is that last season he was playing in the second division. But he currently has 3 clean sheets and has very interesting defensive records: 39 balls recovered and 23 tackles won in just 7 games. In a season where Atlético has hired Sime Vrsaljko for the same position as Juanfran, the La Roja’s right-back seems not wanting to give a chance in the competition. In 6 appearances he has made 4 clean sheets. Adding to this, he has done 2 assists to goal, has 7 tackles won and 30 balls recovered, averaging 5 balls recovered per game. Who doesn’t have competition in Atlético’s defense is Filipe Luís. He is the most scored defense in La Liga de los Ases, owing that to his defensive records: 43 balls recovered and 22 tackles won. Adding to that he is part of the less beaten defensive line in the championship with 5 clean sheets. This season, Arda Turan seems like a whole new player. With the absences of Neymar (because of the Olympics) and then Messi (due to injury), the Turkish player has gained a spot in the team’s starting 11. In the starting line-up in 5 of 7 games, Arda has scored 2 goals, in the only 2 shots on target that he made, and has assisted his colleagues in 3 goals. He is also Barcelona’s midfielder with more balls recovered: 25 overall. The Malaga’s midfielder has a very interesting season start. Besides the goal in the championship starting game-week, Castillejo has accounted 3 goal assists, only being surpassed by Sergi Roberto. Samu Castillejo is also a midfielder that helps a lot with ball recovery, as the 41 balls recovered in his records show. Last season, Koke was the king of goal assists in his team. But this season he is showing a more modest record, with only 1 goal and 2 assists. Simeone seems to have given up the idea to play Koke as a false winger and, by occupying a more central area of the field, the Spanish player has been giving a great performance on balls recovered: 45 in 7 games. Coming from Sassuolo and with a record of 7 goals last season, this Italian borned in Munich is, so far, the best new hiring in La Liga. Sansone has been playing mostly as a forward, making a double with Pato, and that has made him score 4 goals in 7 shots on target, being currently the midfielder with most goals in La Liga. The Italian also has an assist. That makes him the player with most points in La Liga de los Ases and this team’s MVP. In the 5 games that he played, only in 3 he played the 90 minutes, due to some physical problems. Although he has very few minutes played he reveals very interesting numbers with 4 goals in 11 shots on target and 2 assists. In the starting line-up in all the games so far, Rubén Castro started the season very well, with 4 goals and 6 shots on target, in the first 3 game-weeks. Since then, his production has fallen a bit, with only one assist and 3 shots on target in the 4 subsequent game-weeks. The best scorer in Euro 2016 is currently La Liga’s best scorer, with 6 goals in 6 matches (he didn’t play in the first match). Griezmann has also contributed with an assist to goal. Don’t forget that, playing in a team coached by Simeone, teamwork is extremely important and the 29 balls recovered by this forward are a good example of that. After being used in Mourinho’s “war” vs. Casillas, Adán proceeded to Bétis to show his value. This season he was able to make 2 clean sheets and, with 36 defenses, with an average of 6 per game, he is currently the keeper with more defenses in La Liga. Adding to that, he defended a penalty against Granada. Like his colleague on the opposing side of the field, Diego Rico has very interesting defensive records: 36 balls recovered and 18 tackles won. Adding to this, he also has 3 clean sheets and one assist in just 6 matches. Although Barcelona only has 2 clean sheets, Piqué is probably the best center back in the league. He’s been having an excellent moment as the 2 goals, 7 tackles won and 41 balls recovered show. All that in just 6 matches. The BBC trio is a bit out of shape. Still, it is the welsh player that has the best numbers. Bale has 3 goals scored, 11 shots on target and one assist. Not bad.